I have reported a profile, when can I expect an action? then you will be notified by phone or email on the action taken within 24 hours. Some our members prefer to share their contact details at a later stage of communication for privacy reasons. Hence they keep their phone number hidden. You can contact them via personlised Mail/Personlised SMS to take the discussion ahead. What action should I take if I spot any profile seems mistrustful or seems to be suspicious? If you find any profile mistrustful we suggest you not to make any communication with them, report us about the profile by clicking on report abuse in your profile page or write to us to [email protected], we examine and take a vital action. What if I see any profile with message, the profile has been deleted due to violation terms? 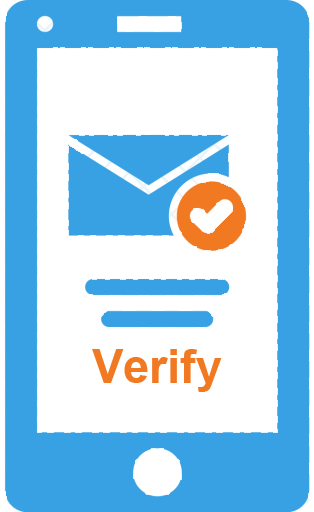 The arbitrary validation is generated by Kammavarkalyanamalai system where to legalize your profile and to make it more trustworthy. It helps you to increase your profile value. When the action on a misuse report will generate? The Kammavarkalyanamalai team will notify you when the action generated via mail/phone. What is block member feature? This option helps the user to block any other member of the site if they find them misusing or violating the terms, the blocked members will not be visible to you in future. There is also possibility to unblock the members. What is report misuse feature? If the user spot any other profile to be mistrustful they may report them by clicking report misuse under your user home page, the Kammavarkalyanamalai.com will certainly block the user profile. What does the safe online refers to? Kammavarkalyanamalai is an online site which works based on internet connectivity, there are only few process which you undergo to choose your life partner. The initial stage be understand each other, communicate where we provide a safe and secure Phone/E-mail/sms. The information which should be protected at the initial conversation is mobile number, bank details, and other important details. Create a trust between, if you find it fake or mistrustful block or report. Meet the person you choose in common place where you should before know him/her. If you spot the person is money seeking or pretend to misbehave report us via [email protected], we will take necessary action. It is suggested to take your friend or relative with you (same to them) at the first meet. If you find the choice is best proceed further.